Our Firm’s real estate attorneys handle all types of transactions, from the routine purchase or sale of a single family or condominium all the way up to transfers of multi-million dollar shopping centers, industrial properties, residential buildings and real estate portfolios. We have broad experience in New Jersey and New York transitional law and identifying for our clients the risks associated with their planned transactions. We have exceptional ability to recognize pitfalls in deals we are asked to handle, as well as having strong negotiation skills to obtain the best terms we can for our clients. Once the structure is established, we are skilled at clearly drafting our clients’ deal documents to avoid future disputes. We regularly handle acquisitions and sales of real estate that is sold as part of sales of existing business assets and stocks. We work together with our business attorneys to coordinate all aspects into one unified transaction so that a small business and its property can be bought and sold expeditiously. We handle all forms of leasing and tenancy issues, as well as disputes in residential, retail, commercial and industrial settings. We draft and negotiate lease documents, and advise our clients when their rights are impacted by violations of those leases with major publicly-traded companies, and for industrial properties. We have arranged and closed credit-based financing for our clients involved in those deals. We handle financing of all types pertaining to acquisitions of real estate and related assets, and have experience in designing complex transactional structure when a particular deal requires needs in connection with a desired sale of purchase of property, including acquisitions of partner stock, sale-lease backs, 1031 tax exchanges, credit financing, cash-out financing, interest rate swaps, restructure financing, loan workouts and short sales. We have an expertise in debt restructuring. We have negotiated public easement and eminent domain takings of our clients’ properties. We have negotiated short sales for clients selling properties in difficult situations and for those looking to invest in distressed assets. 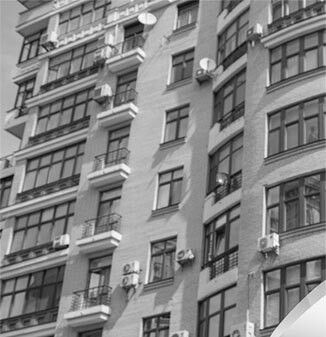 We are experienced in drafting and filing public offerings for our clients who are developing condominium properties. If you are seeking attorneys who will act swiftly, competently and with diligence, and who can provide guidance on all aspects of the transaction, call our Firm at (201) 947-4100 for a consultation.